Oh how I loved this two! Fun couple, loved being photographed and really enjoyed working with me and my team. While we were taking some family photos after their ceremony, the bride asked me we could take some photos of their shoes. I looked down to see what they looked like but the bride told me to rather take photos of their shoe soles. They sat down on the stone bench and lifted their legs. 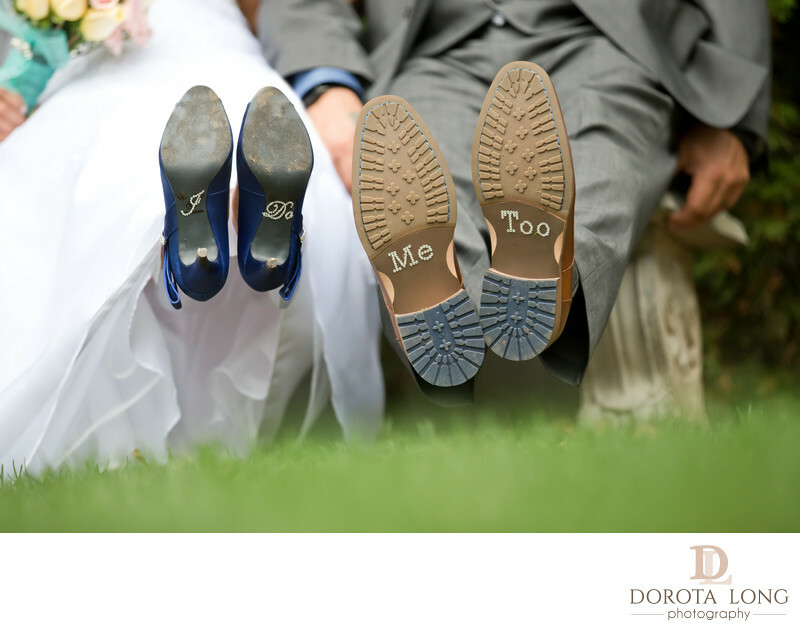 Then I saw the text on their shoes, it said "I do. Me too". I thought it was so cute as I haven't' had a couple that would have done anything like that before. We had a great weather that day and the photos turned out great! I always try to make sure I don't miss any details like this. There is so much preparation before the big day that every single detail must be documented. Every detail was well prepared and anticipated for a long time before the big day arrived. Today, brides especially, but also grooms, often look for photo ides on sites such as Pinterest. They often see different shots of details such as rings, flowers, shoes etc. They expect their wedding photographer to capture these details and this is why I come prepared and full of ideas how to best capture them.